It’s been 20 years since Roseanne ended, and with the surge in popularity of nostalgic shows like it, it’s obviously time for a reboot. As Roseanne gears up for its big return, though, we’re noticing something a little odd from the behind-the-scenes pics that have been posted so far: It’s been 20 years, but everyone looks exactly the same. Seriously, it’s a little eerie. See for yourself. And whoa, this is a familiar scene shared on Cummings’ Instagram story. Barr, who posed behind the scenes at her personal “beauty parlor,” looks exactly the same as she did when she signed off 20 years ago. This is truly blowing our minds. More: Which of These Family TV Shows From the Past Is Your Fave? The cast just had its first table read last week (hence all the behind-the-scenes photos) and doesn’t have an official premiere date yet. 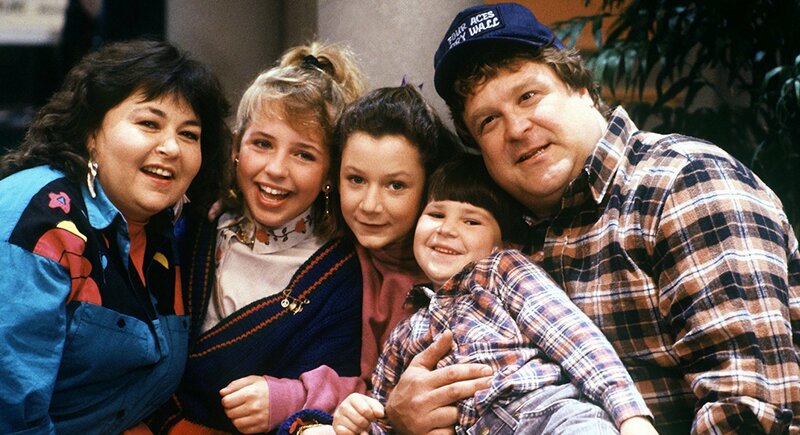 But look for Roseanne to hit the small screen sometime in early 2018, and until then, hopefully the nostalgia-inducing pics keep coming!